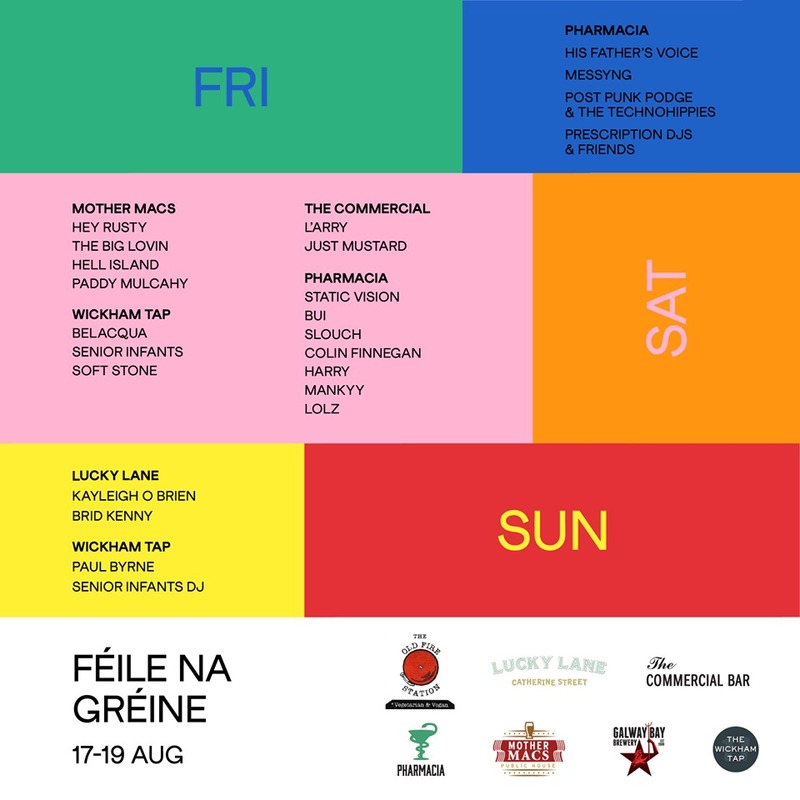 TWO GROUPS of Limerick collectives are teaming up to bring the inaugural Feil Na Greine dance and alternative music festival this weekend. The festival is a joint venture between Lower Your Expectations and DIY LK music nights, and will take place at a number of venues in the city centre between this Friday and Sunday. All events on Saturday and Sunday are free. On Friday night, Limerick-based Post-Punk Podge and the Technohippes will launch their new EP. There will be a €5 admission fee, which will go towards the running of the festival. Organisers have said that it is a “100% non-profit” event. Lower Your Expectations is a semi-regular dance music night run across a number of various venues. This was established by local musican Jack Brolly, who was getting “tired of the status quo that dominated the Limerick music scene and introduced a fresh element”. DIY LK is a collective of Limerick bands and musicians running gigs in Pharmacia, featuring rising acts from Limerick, Ireland, the UK and further afield. “The reason we have decided to collaborate on this event is because we have both managed to run very successful regular gigs over the last 18 months and felt that between the two groups we would have enough resources, contacts and know-how to run a successful festival for low cost. “Beyond just running a one-off event, it’s important to us that this becomes a yearly thing and helps grow the local music scene. We are all passionate about Limerick and want to stamp its place on the national musical map properly,” said spokesperson for Feile Na Greine.